Here you will find resources for mood charts and mood charting. 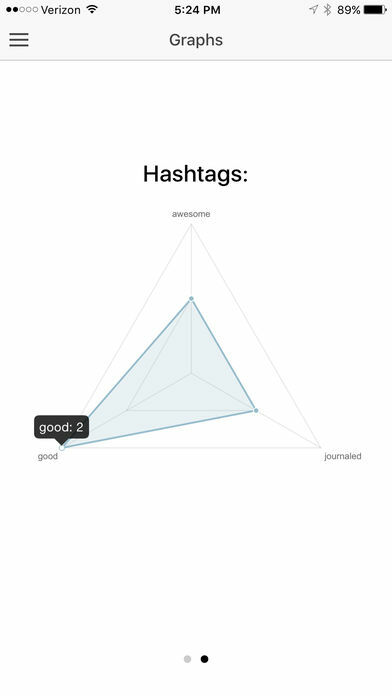 A mood chart is a tool that lets you track your mood. 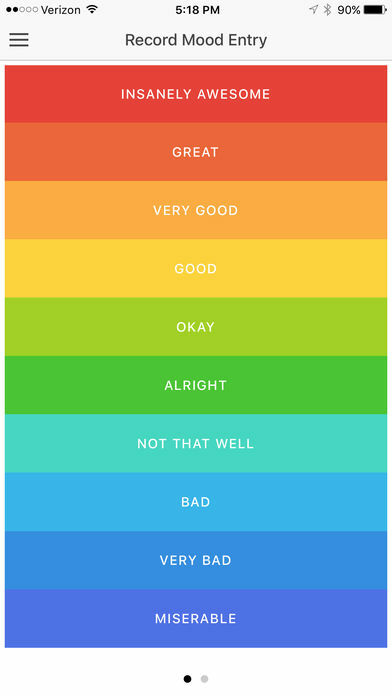 However, a mood chart can go beyond just charting your mood. You can track your sleep, medicines, and other symptoms too. Keeping a personal mood chart journal can help you get a better picture of your mood and other symptoms you wish to track. 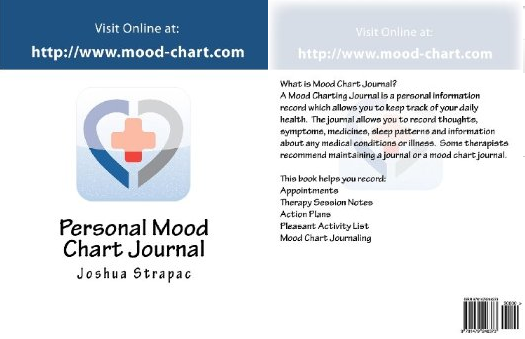 What is Mood Chart Journal? 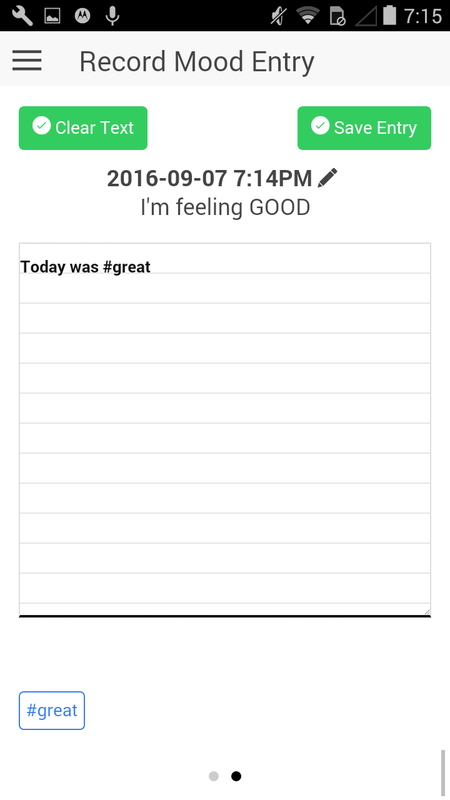 A Mood Charting Journal is a personal information record which allows you to keep track of your daily health. The journal allows you to record thoughts, symptoms, medicines, sleep patterns and information about any medical conditions or illness. Some therapists recommend maintaining a journal or a mood chart journal. 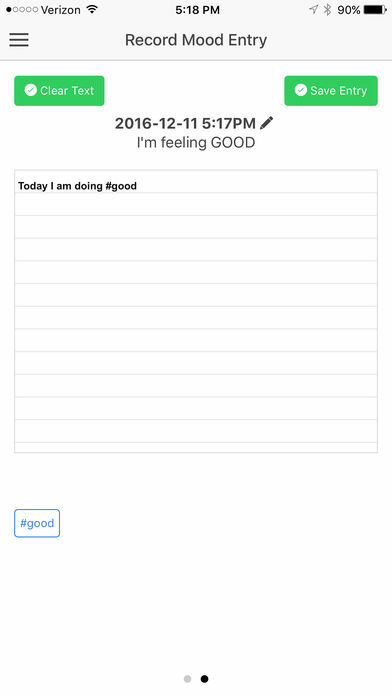 Mood Charting is the act of charting your personal health for self-help purposes. A mood chart has several useful purposes, one of which is to provide your therapists with an actual record of your moods and how they varied over a period of time. 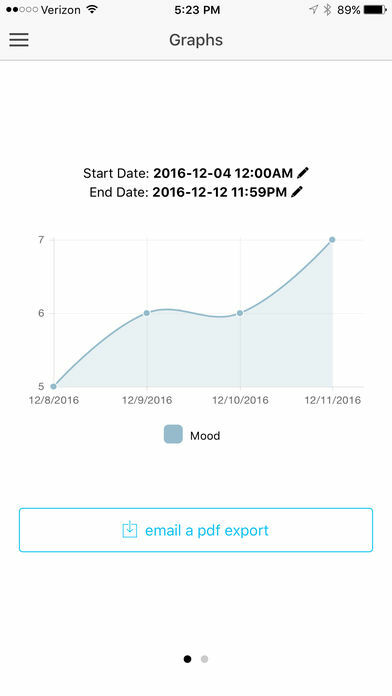 Mood charting is a good way to record events chronologically and will help you report your mood and symptoms to your therapists more efficiently. 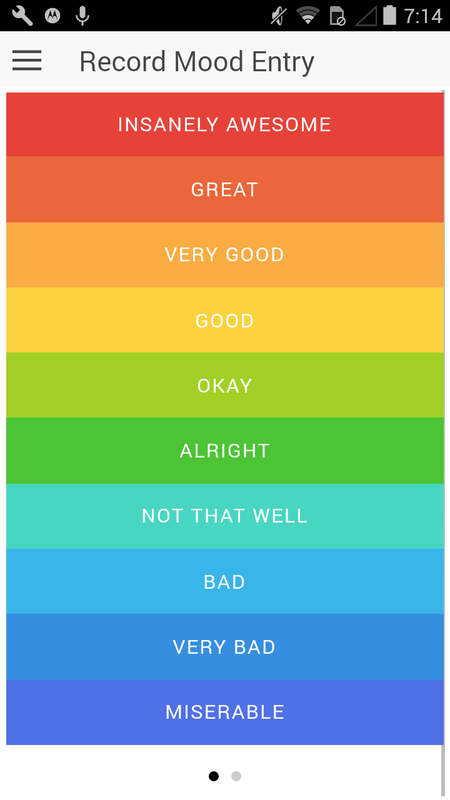 After a few months, the mood chart can be a useful tool for looking into the future. 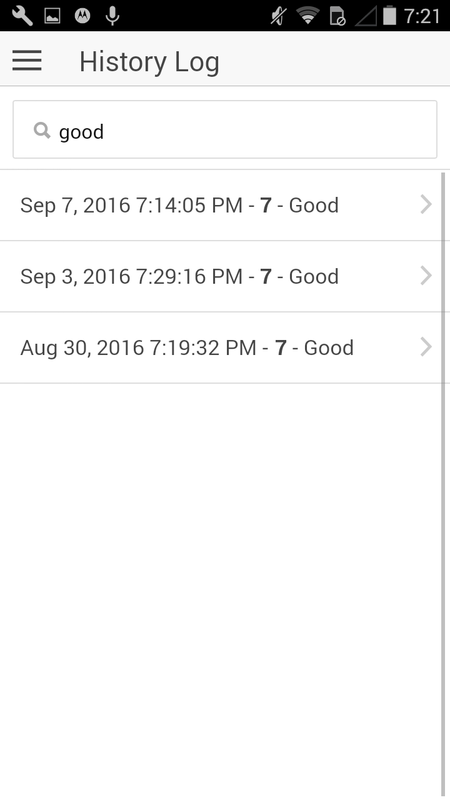 Once you begin to track your mood and become accustomed to the chart, you will find it very quick and simple to enter information each day. If you have an illness or condition chances are you have been asked or have at least thought about tracking your health. Tracking your health allows you to better pinpoint where you're at and where you're possibly going. Having a long history of tracked health can give you a richer picture of your own health. Having an accurate chronological history of your tracked health can give you a richer picture of your own health. 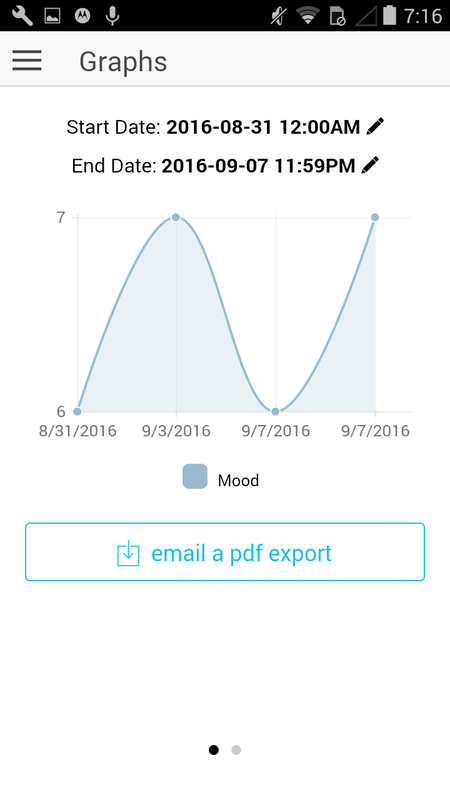 The Personal Mood Journal App is a beautifully designed mood charting app. Designed for both iPhone/iPad and Android. TherapySites specializes in creating websites designed for therapists that are professional, affordable, and effective. All you pay is a monthly hosting fee of $59/month with no long-term contracts. They deliver credit card processing, appointment requests, search engine optimization, and more - it's all included! Attracting new clients and generating more revenue is easy with TherapySites! If you visit this site and provide a promo code of "PMCJ", you will receive A Free Website and One Month of Hosting Service with TherapySites. Diamondsoft Corporation is committed to protecting your privacy. 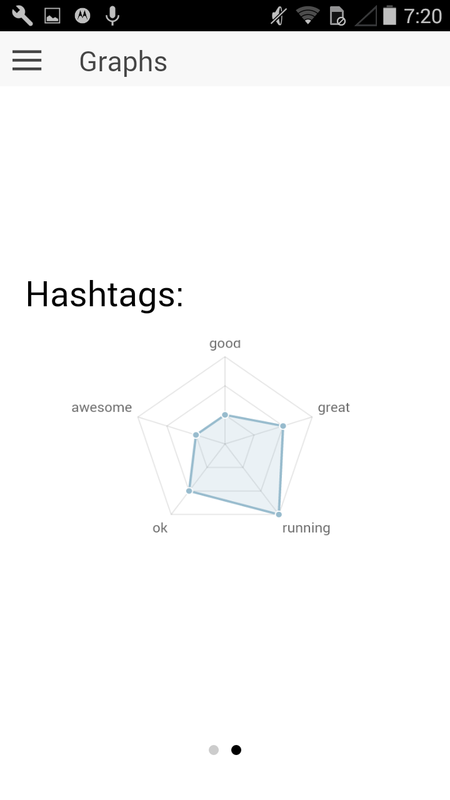 This privacy statement describes how Diamondsoft Corporation collects and uses the personal information you provide on our website: www.mood-chart.com. It also describes the choices available to you regarding Diamondsoft Corporation's use of your personal information and the steps you can take to access this information and to request that we correct or update it. We will share your personal information with third parties only in the ways that are described in this privacy statement. We do not sell, rent, trade, or otherwise share your personal information with third parties other than agents, service providers acting on our behalf for limited purposes. For example, we may share personal information with our agents or service providers to send you email on our behalf. Certain features on our site, such as our 'Live Chat', forum, and shopping cart may be hosted by service providers. In this case, these third parties are authorized to use your personal information only to perform the service they are providing for us, and do not have an independent right to share or use this information. In the event Diamondsoft Corporation goes through a business transition, such as a merger, acquisition by another company, or sale of all or a portion of its assets, your personally identifiable information will likely be among the assets transferred. You will be notified via email and/or a prominent notice on our Web site of any such change in ownership or control of your personal information, as well as any choices you may have regarding your personal information. You may opt-out of receiving our newsletter or marketing emails from us by following the unsubscribe instructions included in each newsletter or marketing email or you can contact us at contactus@mood-chart.com. We use Google AdSense to serve ads on this site. When you view or click on an ad, a cookie will be set to help better provide advertisements that are of interest to you on this and other websites. 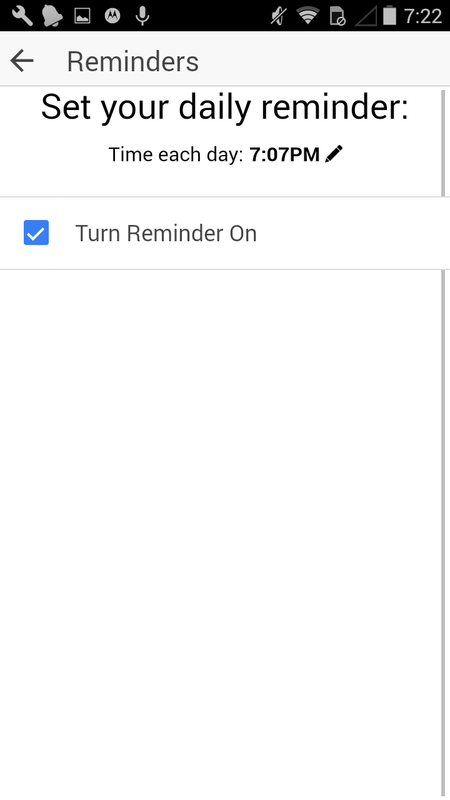 You may opt-out of the use of this cookie by visiting Google's Advertising and Privacy page: http://www.google.com/privacy_ads.html. To review and update your personal information to ensure it is accurate, contact us at contactus@mood-chart.com. Our Site includes links to other websites whose privacy practices may differ from those of Diamondsoft Corporation. If you submit personal information to any of those sites, your information is subject to their privacy statements. We encourage you to carefully read the privacy statement of any website you visit. Whenever you choose to voluntarily post general and/or personal information in public areas, such as our message boards, forums, community groups, this information can be accessed by the public and can in turn be used by to send you unsolicited communications. Therefore, Diamondsoft Corporation recommends that you exercise discretion when deciding what information you choose to make public on the Internet. If you have any questions about security on our Web site, you can contact us at contactus@mood-chart.com. 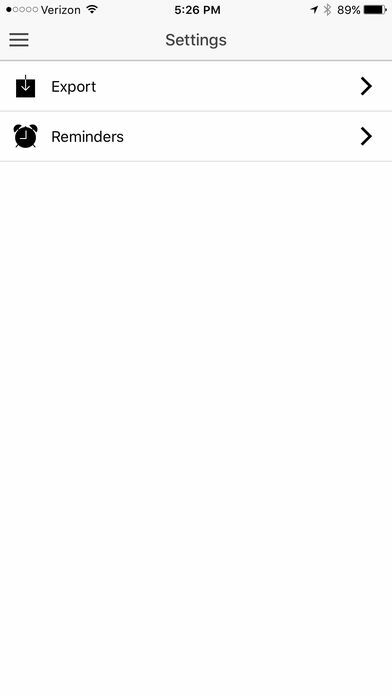 You can contact us by email us at the address below. We do not accept any responsibility for any loss which may arise from accessing or reliance on the information on this site and to the fullest extent permitted by United States law, we exclude all liability for loss or damages direct or indirect arising from use of this site. www.mood-chart.com is a site operated by Diamondsoft Corporation ("We"); registered in Port Orchard, Washington. The US courts will have non-exclusive jurisdiction over any claim arising from, or related to, a visit to our site. We offer free accounts that have read-only access to our charting site which allows a user to view other users charts in a read-only fashion. A user must elect another user registered in our charting system to allow them to view their charts. If you have any concerns about material which appears on our site, please contact contactus@mood-chart.com.